The MetService said snowfall was down to near sea level from Southland to Kaikoura Coast and at unusually low levels in the North Island. 'Dance For Joy' a Space Age Iris which we do enjoy at home, has slightly smaller but intriguing bloom's in a display that comes early in the season and then re-blooms later. It has that X factor in the form of the spoon shaped petaloids. Monty Byers was truly one of the most original and ardent breeders of irises in the iris world. In that world his niche was expanding both with accomplishment and promise--until death cut short all inspiration and activity. But his iris creations still remain to pleasure our gardens and to remind us of his gifts to us. 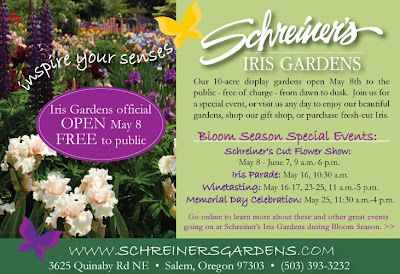 Monty's iris catalog business, Moonshine Gardens, in association with his business partner, Bill Gibbs, was an almost immediate success, sparked by Monty's ebullient enthusiasm and drive. His breeding interest centered around two classes of irises not altogether at the top of general popularity: the horned, spooned and flounced (Space Age-and designated SA in the catalog) and the section of irises that is steadily growing in popularity, the reblooming irises (identified in the catalog as RE). His development and insistent promotion of these two sections through his catalog and voluminous correspondence was a decisive factor in raising them to the rank of popularity and wide acceptance that they now hold. From Eastern Europe to East Taratahi, it's an absolute pleasure to have 'SLOVAK PRINCE', growing in my garden at home. Most pleasing to see a Slovakian bred Iris rank number 46 in the 2009 AIS Symposium results, a great position among America's Tall Bearded heavyweights. This iris has a distinctive gold embossed edge on the standards a trait that has breed through to newer seedlings in Tony's breeding program. Prince George' a very fine introduction from the superb plant breeder, the late George Shoop also shows this Gold embossed edge. This appears to be an inheritable trait in both cultivars. "I am very glad to hear that SLOVAK PRINCE got as far as to New Zealand. I grow and/or cross breed irises for more than 20 years now. The cross-breeding of SLOVAK PRINCE (Edith Wolford X Queen in Calico) dates back to 1993. That was in my early times when I had no breeding plan yet. Those were times of "wild cross breeding", when I used to cross-breed everything with anything. In those times (of socialism and totality) I had no access to new irises. Nowadays, everything is so different. I have a system which I follow. I have several 'PARENTAGES' that I use for cross-breeding. The cross-breeding system can be seen on new seedlings, too." Sold in New Zealand by Amazing Iris Gardens , in Canada it is available from Chuck Chapman Iris, and in the US of A listed by Schreiners and sorry but its already sold out at Blue J Iris. SLOVAK PRINCE (Anton Mego 2003) 33" M; S. white shaded orchid lavender, slight blue veining, 1/8" gold rim; F. dark velvety blue purple, slightly lighter rim, white area around gold beard with purple veining; ruffled; slight sweet fragrance. (Edith Wolford X Queen in Calico) HONORABLE MENTION (HM) AIS 2005 AWARD OF MERIT(AM) AIS 2007, THE JOHN C. WISTER MEDAL 2009. As my recent posts indicate I am working in Wellington at the moment which has allowed more time to visit the National Library for research but also visit MAF (Ministry of Agriculture and Forestry) for some face to face meetings concerning Import/Export of Irises to and from New Zealand and it was at one of these meetings that I took the opportunity to suggest that our country seems to have swapped our previous import policy with Slovakia's previous import policy(of socialism and totality), and and vice-versa. I am about to leave for Wellington this morning and as this afternoon I will be at the National Alexander Turnbull Library researching I decided to take a laptop from home. Last time I was in Wellington using a laptop outside of working for a client I used CaféNET as my wireless internet provider. This was some 2 years ago so this morning I decided to buy some MBytes data quota for my account. To my surprise the data quota that I purchased more than two years ago is still credited to my account and can still be used. ALFRED EDWIN a 1950 British raised variety. It has inherited the PBF (Purple Bottom Foliage) from its pollen parent the French bred 'President Pilkington'. Its form is from its pod parent the British bred 'White City'. The iris is a truly European breeding effort. This heirloom iris shows good increase, good plant health, shows plenty of bloom in a good season and its a keeper.Recently found mis-labeled in the Official Jean Stevens Collection as 'PINNACLE' which it quite obviously is not as the above photo shows a reverse amoena, it was then sent to me by the guardian of the collection labelled as 'FLUTTER-BY'. A 'specular illusion' perhaps? Two Observations of easily accessed information that would instantly eliminate Flutter-By are this Iris shows strong purple bottom foliage(PBF) and the bloom size is to large for a Diploid.I have still yet to receive a correctly labeled iris from the 'Official Jean Stevens Collection' which make's one wonder whether the complete collection itself is correctly named?? ALFRED EDWIN (WHITE CITY X PRESIDENT PILKINGTON) raised by A.T.White had conical primrose standards and neat white flaring falls with yellow at the haft. This is interesting for WHITE CITY has the the light violet HONOR STERNDALE as a sister and there is violet in its parents: Obviously been white itself it has some factor the counteracts a certain kind of violet: and it is plain from this new iris, that the violet that is in PRESIDENT PILKINGTON is of this susceptible kind, for it has been cleared out of its drab (i.e.,mixed yellow and violet) standards leaving them yellow, and it has been cleared from its violet falls leaving them white. Iris Year Book 1949, Commentaries in Variety. Alfred Edwin (White 1950). Rich primrose yellow standards and very white semi-flaring falls. Height 3ft. ALFRED EDWIN (A. White, R. 1950). TB 36" M, YL/W4. Primrose-yellow and white bicolor. White City X President Pilkington., Orpington 1953. Doddington Hall near Lincoln is looking forward to its first Iris Week, which takes place 24 – 31 May inclusive. Every day that week the Gardens will be open so people can enjoy the irises that are so lovely they were featured by BBC Gardeners’ World. In conjunction with the Royal Horticultural Society (RHS), the Hall is also offering a special Irises at Sunset Tour & Buffet on 29 May. By late May the irises in Doddington Hall’s walled West Garden are at their peak giving a stunning display. Aside from looking exceptionally pretty, the irises are fascinating as they have been nurtured with a rather unconventional but undoubtedly successful cultivation method. For over 25 years, the Jarvis Family’s dedicated and caring cultivation of bearded irises has provided a big attraction at the Elizabethan family home with its magical seven-acres of romantic walled and wild gardens plus two-acre walled restored Kitchen Garden. Antony Jarvis, father of the current owner Claire Birch, has developed a unique way of cultivating the Irises and they certainly seem to like it. The irises are planted in blocks of colour in the box-edged parterres of the West Garden, which they prefer to being shaded deep in a mixed border because the rhizomes can have a delicious ‘bake’ in late summer. It was Antony Jarvis who, with his late wife Victoria, was responsible for starting the Hall’s love affair with the iris. All dividing is done immediately after flowering, which goes against the conventional wisdom of waiting until late summer or early autumn. Antony describes his dividing technique to “chopping them up like a hot cross bun.” He divides each plant into three or four, removes three to replant and leaves just one segment in the ground undisturbed. The idea is to get the disturbance and relocation over before flower initiation, which happens in the early autumn. Clearly the technique works, as there has been a constant display for over 25 years drawing visitors back time and time again to share this delicate but powerful sight. The effect is stunning. The box-edged parterres look like tapestries with a weave of gently coloured irises while the herbaceous borders have philadelphus for structure, Telekia Speciosa for height and plenty of peonies, alliums and phlox - the latter being a family favourite. There’s also a stunning handkerchief tree and a beautiful white wisteria sinesis. RHS event Irises at Sunset with Tour & Buffet 29 May. To book, please call the RHS direct on 08456 121 253. Doddington Hall is a much loved family home and has never been sold since it was designed in 1595 by Robert Smythson, one of England’s foremost Elizabethan architects. The mellow brick exterior with its walled courtyards has barely changed while the interior was redecorated in Georgian times in a light and elegant style. The original walled courtyards now enclose fabulous formal gardens whilst beyond the walls you will discover romantic wild gardens and nature walks. Over 400 years of unbroken family occupation has resulted in fascinating collections of furniture, paintings, ceramics, textiles, porcelain, household objects along with a wealth of amusing stories. A visit to Doddington offers a unique insight into family life through the ages and the challenges of looking after such a house in the 21st Century. In 2005, Antony & Victoria Jarvis passed Doddington Hall to their eldest daughter Claire, and her husband James Birch. Claire & James are the fifth family to enjoy the role of ‘guardian’ to Doddington Hall. On the subject of Growing Irises in New Zealand, it has transpired that 0.006962970458901531% of the total New Zealand population* are claiming to represent us all. The New Zealand Iris Society organisation has embarked on a spectacularly unsuccessful campaign from day one to shut this blog down and many web masters who have Links with this blog have been pestered with correspondence from some members of the NZIS executive to have Links with this blog withdrawn and have used a contentious opinion 'that a Link with my blog is a validation of my personal viewpoints', to justify the request. This behaviour is not what could be reasonably expected from a Iris society or any other society that makes the claim to represent New Zealand a democratic country that believes in the strong defence of a broad right to freedom of speech. My critical but justifiable points of views that challenge so called published wisdom and the highlighting of factual errors of Iris Nomenclature within the NZIS, that have been featured, and will continue to be posted by this blog could offend individuals or a group of individuals but this should never be the basis on which something is judged, and certainly not the basis on which facts or the free exchange of ideas are censured. That would make the rest of us – the majority – beholden to the sensitivities of a small group of over-sensitive souls. All of which it seems to me suggests the desirability of a legislative restraint on people purporting to act officially on behalf of New Zealand in any capacity. No individual or group should be denied the right to pursue private interests but to assert that they represent us all is a privilege that properly ought to be sanctioned on our behalf by the government and not be an automatic right that anyone can assume. *The generous figure of 300 members of the NZIS is calculated as 0.006962970458901531% of the total New Zealand population of 4,308,506. It has quite a nice scent and it ticks all the ID boxes apart from only reaching a stem height of 26"(66cm) yet Schreiner's have it listed as 33"(84cm) in their 1948 catalogue which featured BF on the cover. Whilst it is not uncommon for re-blooming irises to be shorter in the Autumn flowering there is some contention as to the height listed by Schreiner's and comments listed below could shine some light on this issue. I have had BF growing at home for many years and have to say that this is the first time it has re-bloomed which probably has more to do with the long warm extended Autumn we are having rather than plant genetics. 'This is the first season that Black Forest has blossomed outside Minnesota. We introduced this iris as the deepest "black" iris in existence. The immediate approbation our iris brought forth was not only gratifying, it justified our feelings about this iris. It is not a tall or large iris'. BLACK FOREST (Schreiner) ; of dark irises this is the deepest in colour and best in form, in my opinion. Flaring falls ; adequate branch but dwarf. Height 20 inches. It grows taller in some localities I believe . The first Schreiner black of note was BLACK FOREST, which achieved a greater blackness, perhaps through having a beard as black as the rest of the flower. It is a fine flower but not very large blue-black but short stemmed, but good for the front row of the border. Although so dark, it gleams and glints. Introduced in 1945, opinions are divided as to whether or not this is a real advance on SABLE. Standard tall bearded irises must by definition, be at least twenty eight inches tall. In the past the heights of some excellent seedlings were stretched a bit by the hybridizer in order to qualify them for registration as tall bearded. 'Black Forest a perfectly beautiful little twenty-four inch satiny blue-black variety now classed as a border iris was one of these. 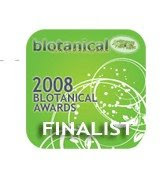 No one could blame the hybridizer for such a slight exaggeration, since there was no alternative classification. The World of Irises Chapter 6 pg.131, Bennett C Jones. "Black Forest a 1944 Schreiner introduction was also relegated to the newly established border class and these two irises, (Pink Ruffles and Black Forest) though larger than what was later accepted as ideal for the class, became the criteria for the border plants"
BLACK FOREST (Schreiner 1945) M 33" HM AIS 1946 Dramatic new Iris. A smouldering purple under-glow add unexpected brilliance to this silky ebon blue black. A dark blue beard and solid haft intensify this monotone. 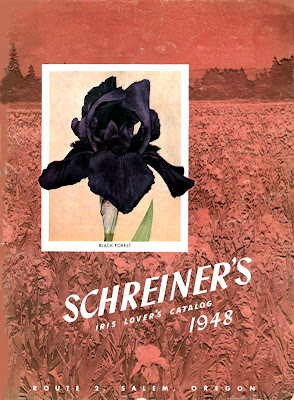 BLACK FOREST (Schreiner 1945) M. A very deep richly colored iris of silky ebon blue black. The blue beard and solid haft add to the depth of color.The well substanced flowers are medium in size and well proportioned to the height of the stalk H.M AIS 1946 A.M AIS 1948 24"
BLACK FOREST (Schreiner 1945) Rich, silky ebony blue-black with a deep blue beard the same as the flower. Even the heart of the flower is as dark as deep night. The nicely formed fragrant blooms are of medium size on medium height stalks. Award of Merit AIS 1948 33"
Black Forest (Schreiner '45) L 26"
BLACK FOREST TB-MLa-B1D Schreiner R R 1944 Fragrant (Dymia x Ethiop Queen), HM 1946, AM 1948. In the USA, Black Forest is available from Argyle Acres, Bluebird Haven Iris Garden,and Woodland Iris Garden. A Big Hat Tip to Carlos Ayento of Brighton Park Irises for the interaction of thoughts and discussion's concerning the above.